Telling "no" does not help you anymore? You want to do something more effective? Perhaps few ideas from our list will help you. Do not worry, there are better ways to deny, deter, or discipline your child than saying "no." Using "no" too often can desensitize a child to its meaning, so save the word for truly important situations instead. Try using some of these short, clear and concise phrases to explain why your toddler should not do something. Usually parents deny junk food requests, ice cream and candy, just by offering a healthier alternative, such as yogurt. It is a great way, but you must avoid the promise of buying it tomorrow. Toddlers cannot understand time very well, that is why it does not make sense to tell them when in the future they will get the treat. Children just want what they want, so the parents need to firmly and warmly offer healthy snack instead of his wished one. 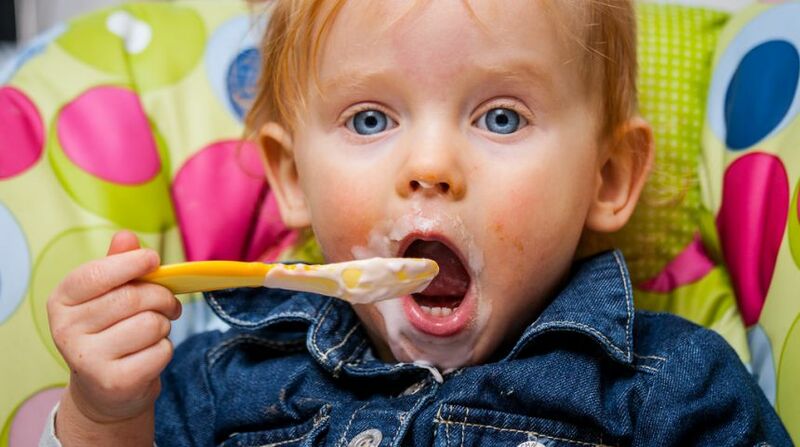 Babies love to play with food because they may still be full from a previous meal. That is when food becomes a toy. Instead of shouting when your toddler plays with his meal, just take his plate away and explain why you did it and why he should not play with it. If your child breaks something by trying to play with it, obviously, in the wrong way, the best thing to do would be to resolve the conflict and build even a better bond with your child. Most kids hate to be told what to do. But if your toddler hears you reflect out loud what he should want and feel, this will definitely help to raise his self-awareness and he will feel seen and understood. Maybe even ask to join. Things need to grow. Let's be gentle. “By hurting the pet, you hurt its feelings and growth too.” Say this to your child and this should help your child develop awareness of the feelings of other living beings. Show your child that plants and animals should be treated with respect. If you want to avoid “no”, this is a clever way. Toddler's capacity to understand what it means to hit someone is very limited. It is important to stop the aggression immediately and calmly explain what behavior you expect. I do not understand what are you saying when you raise your voice. Repeat it in your regular one. When your child learns some new words, he may whine to request something. Saying "stop whining" will not. Instead, ask him to communicate with simple words. If you will show that you do not understand what toddler is saying while using whiny voice, there is quite a chance that he will not use it again. Here come the tickle fingers! Little kids love to laugh, that is why doing something silly can be a lot of fun and caring way to redirect them towards greater cooperation. You do not have to be a professional comedian to do this simple task. All you need to do is to say a funny warning. The next time your kid is throwing a ball in the house, playfully chase him into another room, where he will be able to do other proper activity. Your child may want to hold your phone or keys every time you use it, but we that it is not a toy. Give your toddler his real toy instead the next time he tries to take your keys. It is always easier to replace wrong behavior than to make it stop. If you do not have a toy you could replace your phone with, just think of some educational activity, like educating your child on different items in the store. Sometimes "no" just is not enough to communicate possible danger. Try using other strong words with a tone of urgency to convey a sense of danger. You have to work at the positive communication they have with children for the negative to be effective. If you would get to eat the same pancakes every morning for whole year, it would not be so special anymore. The exact same thing happens with the word “no”. Yes, it is powerful, but only when it is used properly. So it might sound silly, but watch out your words.